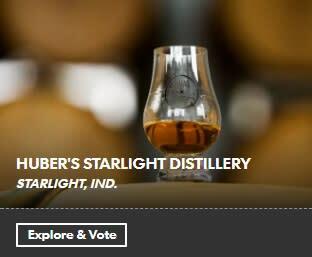 Huber&apos;s Starlight Distillery is in contention for the best craft specialty spirits distillery on USA Today&apos;s 10 best list. Huber&apos;s is one of only two from our area. 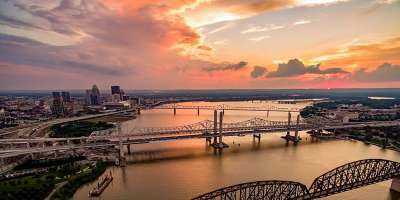 Louisville&apos;s Copper & Kings Distillery is also on the list. You can vote once per day for the distillery of your choice every day until Sept. 11. 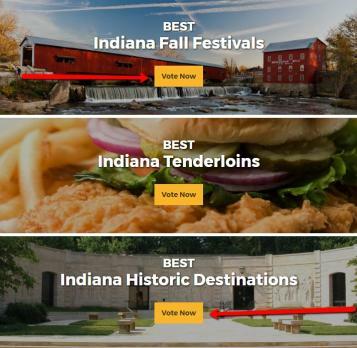 Two SoIN festivals, Harvest Homecoming and Steamboat Nights, are nominated for Indiana&apos;s best fall festivals, and two attractions, the Culbertson Mansion State Historic Site and the Falls of the Ohio State Park, are in contention for Indiana&apos;s best historic destinations. You can vote for up to five on each of the categories. Voting ends on Oct. 27. To see all categories, please click: Best of Fall.